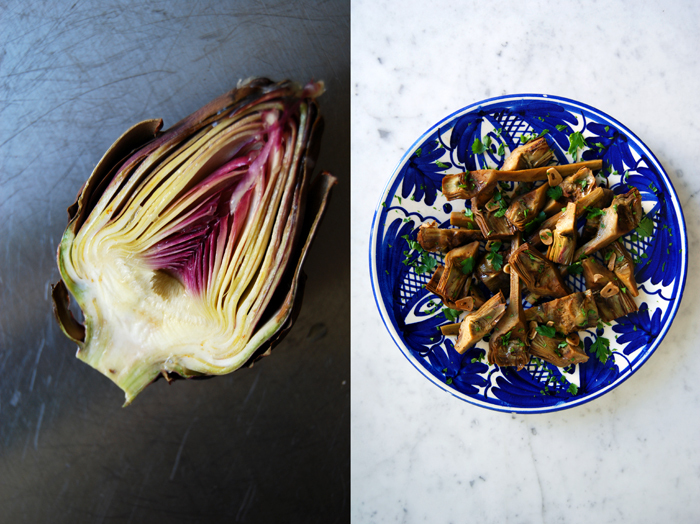 Artichokes seem to follow me in the past few weeks, even when I don’t buy them they end up in my kitchen. I got a bag full of beautiful purple baby artichokes as a gift, the tiniest I’ve ever seen. A friend of mine had bought too many and knowing that I use everything that finds its way into my space she was happy to pass them over to me. I had already made plans for dinner but the vegetables couldn’t wait a day longer. 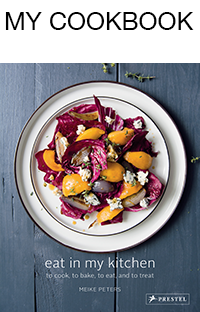 When I looked at them, a warm salad came to my mind, a little snack in between. I imagined them sautéed and deglazed with vermouth and some parsley on top, so I brought out my pan and started the cooker. As a starter for 4 you need 6 small baby artichokes. 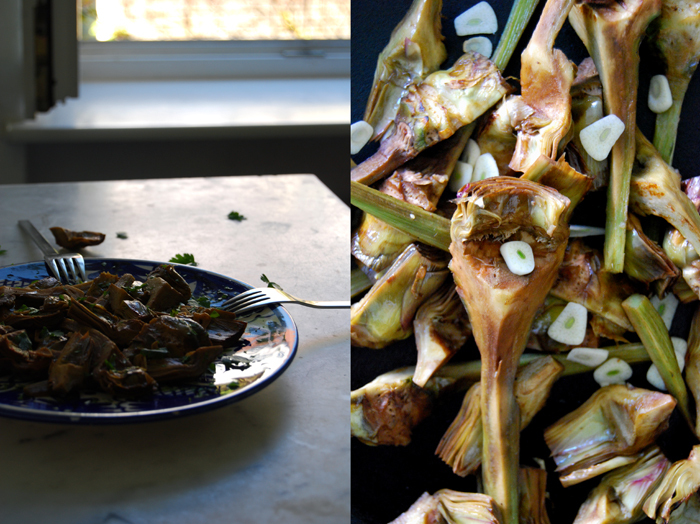 Cut off the artichoke stem if it’s too woody and pluck the hard outer leaves. 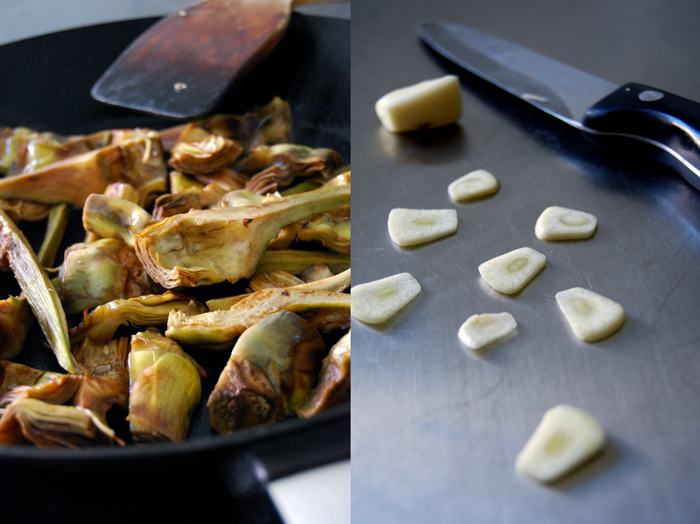 Cut the artichoke’s tip off (1/3 – 1/2 of the artichoke), quarter them and scoop out the hairy choke. 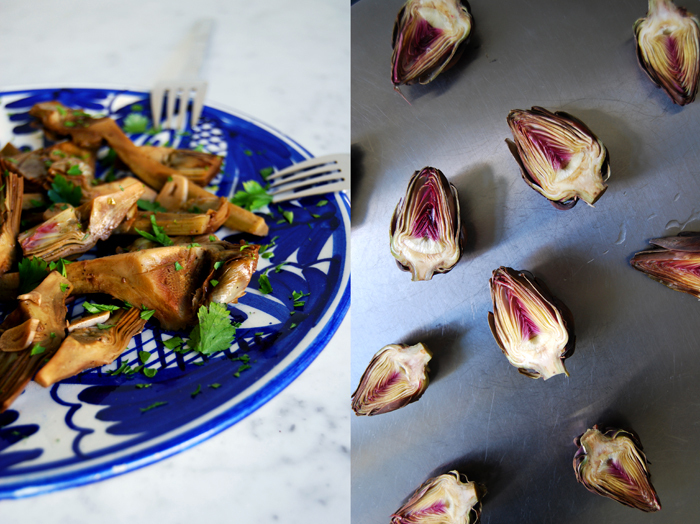 Keep the prepared artichokes in a bowl of cold water and the juice of half a lemon while you’re finishing the rest. Sautée the prepared artichokes in a large heavy pan in a dash of olive oil and 2 tablespoons of butter for about 5 minutes together with 1 thinly sliced clove of garlic. Deglaze with 75ml / 2.5 ounces of vermouth and season with salt and pepper. Add 75ml / 2.5 ounces of water and 1 tablespoon of freshly squeezed lemon juice and let them simmer on a medium heat for about 10 minutes until al dente. Sprinkle with roughly chopped parsley and season with salt and pepper to taste.